Grandma needed a costume for a work function which was just around the corner from halloween. Her granddaughter loves to spend time with grandma in her sewing room. One evening in the sewing room granddaughter told grandma she wanted to be Snow White too as she would love to be a Disney princess. In the coming weeks ahead asked several times if her costume was done yet. 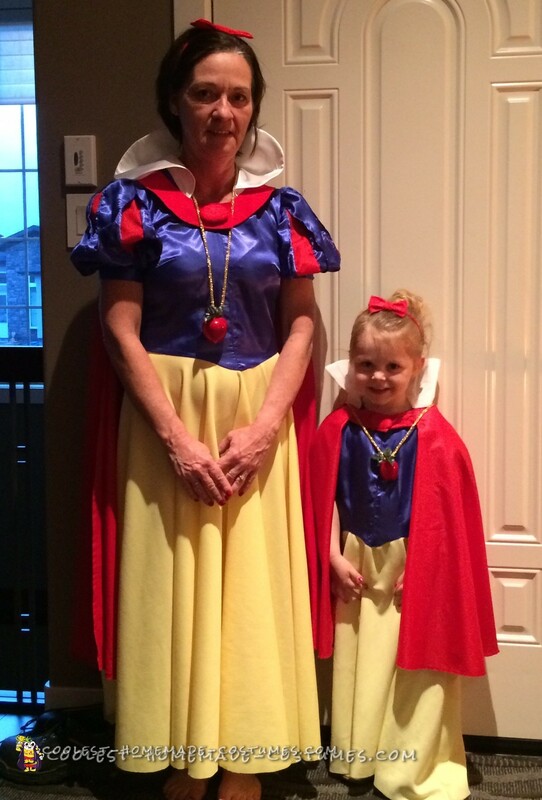 Granddaughter help with the accessories and insisted her mom get her snow white shoes to match her costume and find some for grandma too. We dressed together Halloween night and were very proud of the costume we made together. Memory will be cherished forever.